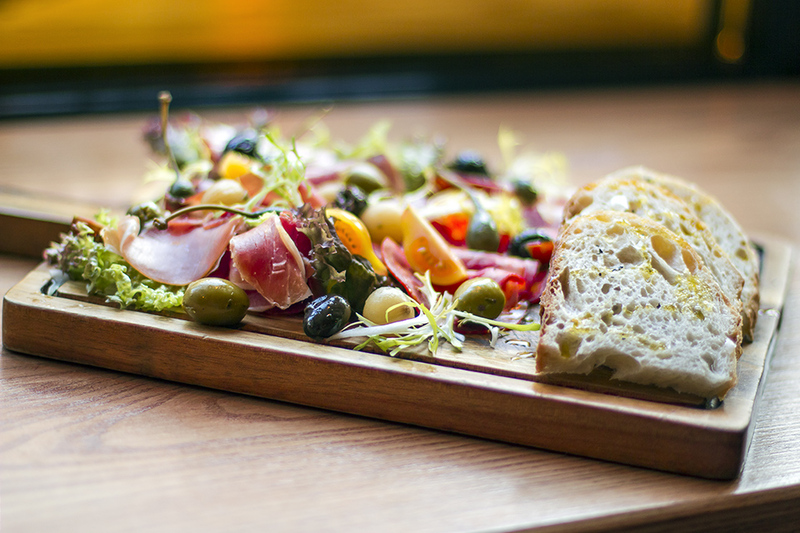 Three tapas & a drink for only £15.00. Tapas specials available on the night. Choose from a medium glass of house wine, a pint of Freedom Four or single spirit & mixer Book online for free text confirmation or call 0116 426 0346. 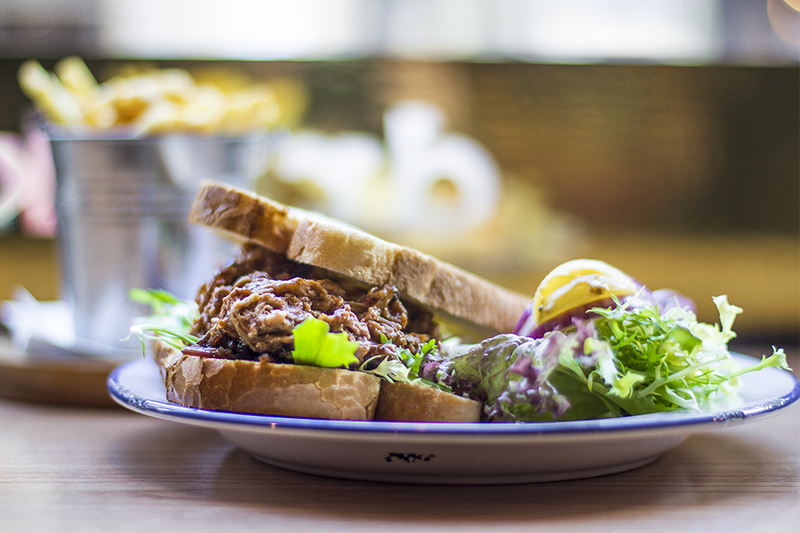 From 12pm-5pm, Monday to Friday, get the sandwich of the day served with fries and any draught or soft drink for only £6.95. Book online for free text confirmation or call 0116 426 0346. 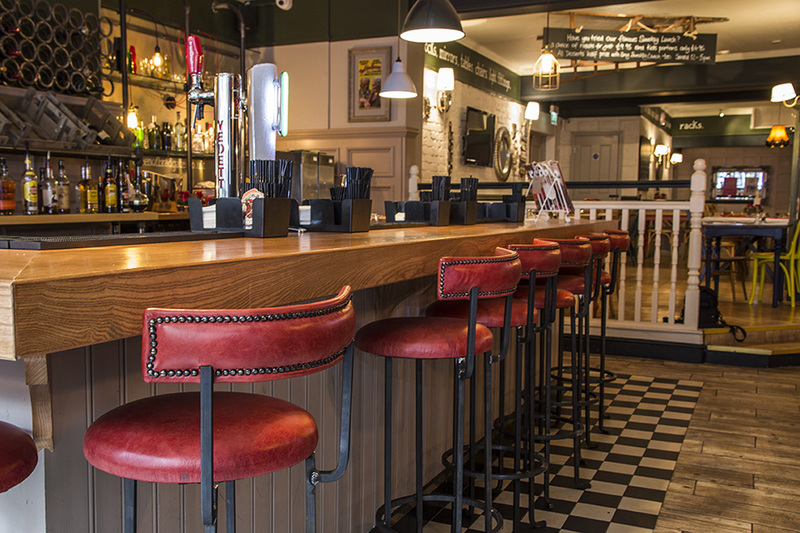 Grab your friends and family and head to Queen of Bradgate for their Happy Hour from 5pm till 8pm! Book online for free text confirmation or call 0116 426 0346. Get 50% off all full priced main dishes every Monday only at Queen of Bradgate! This offer is not valid on Bank Holidays. ** Steak carries a £3 supplement on half price Mondays. Book online for free text confirmation or call 0116 426 0346. Students get 50% off all full priced main dishes from the main menu Monday to Friday. Book online for free text confirmation or call 0116 426 0346. For just £15.95 you can tuck into 2 courses or £19.95 for 3 courses every Sunday between 12pm - 6pm. Book online for free text confirmation or call 0116 426 0346. Love this place, great food at the right price, good selection of ales (lagers for those who imbibe it) and great atmosphere. Wonderful food and great service, can't wait to go back. Lovely food at Queen of Bradgate with a very well cooked steak, four in our party had it & all were perfectly cooked! Lovely food as always - I highly recommend the chilli! The mulled cider was delicious. The two female waiting staff were great, friendly and served us quickly but without making us feel rushed. There was a mix up over a side order but they took it off the bill when we asked so no complaints there. We will definitely return. Nice clean place, nice meal need to pay more attention to customers comments as our small complaint wasn't recognized by anyone, but apart from that very nice. Booked this online, table was reserved on arrival, ordering of food and service excellent. Very good attentive service and the staff coped with us very well as we had 2 Australians and 3 Americans with us in the 8 people. We have eaten at the Queen of Bradgate a few times and the food, drinks and service are consistently excellent. My one tiny criticism is that the Sunday menu is a little limited. There were 2 meat roasts and a veggie option and then another 3 or 4 dishes. The roast dinner is excellent with lovely fresh veg but if you fancy a burger or fish and chips you've had it. Great service at the Queen of Bradgate and the food is really good quality! We were 1st timers - would definitely go back! Highly recommended! In the centre of Leicester, right on the high street, is the Queen of Bradgate, a very unique bar and restaurant, offering gorgeous bespoke furniture, as well as stunning food. Expert chefs serve simple British classics, Cask ales and Craft lagers, sourced from quality local producers. The restaurant itself also serves as a showroom for unique British-made up-cycled furniture, made by Queen B. Interiors. The restaurant itself is eclectic and attractive. 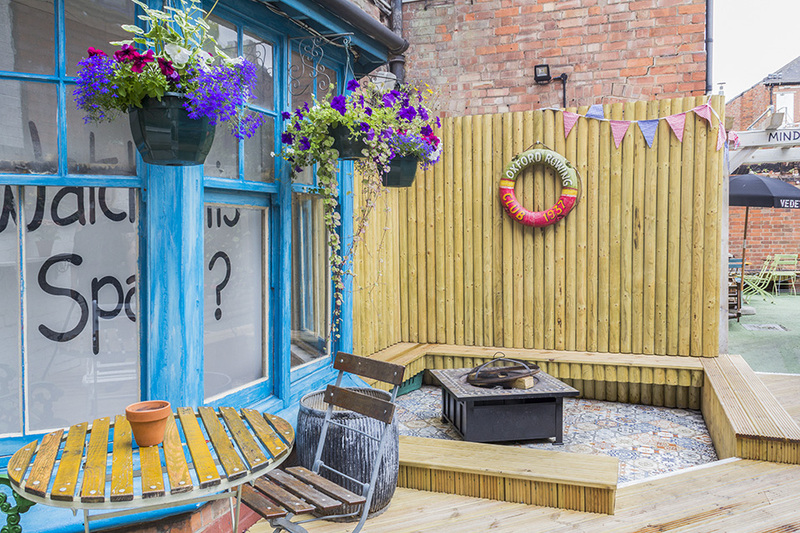 A mix of retro furniture and ultramodern upcycled pieces, with bright block colours and pastel painted fireplaces. 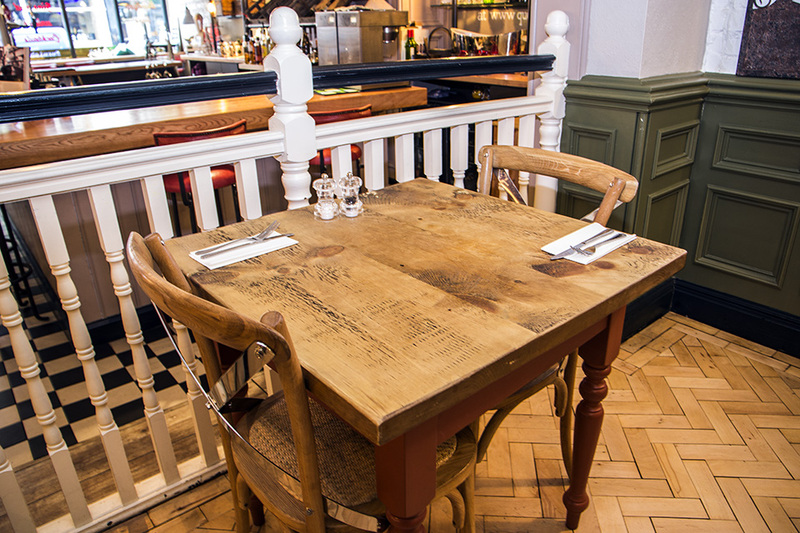 The patchwork design of the dining space boasts stylish vintage carpets, comfortable sofas and rustic wooden touches. Many items of furniture on show at the Queen of Bradgate are also available to buy, including bespoke alterations and custom finishes. 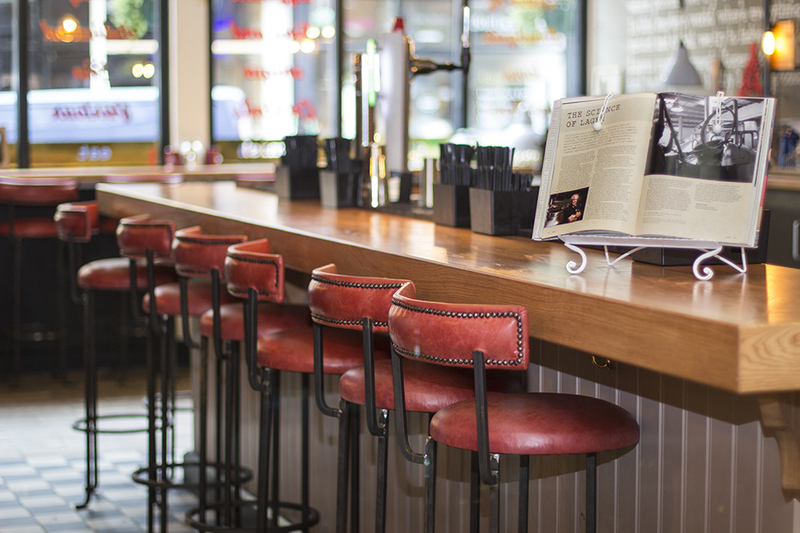 Stylish chairs, stools and tables made by the in-house designers Queen B. Interiors are all used in the restaurant too, giving you the perfect opportunity to try before you buy whilst you enjoy a relaxing drink or a delicious meal. The 'Upstairs' bar is the funky younger sister to the downstairs’ understated elegance at The Queen of Bradgate. You are met with a copper bar, red velvet booth seating, bare brick walls, blue and gold velvet drapes, a large dance floor, a private lounge area and even 3 full size ping pong tables. It is a great space for live music, ping pong, cocktail masterclasses and private hire/functions. Open 7 days a week, this must be the city's best kept secret! The unique bar specialises in Craft Beer, like its older sister, Rum & Cocktails and is the perfect location to hold your own party, meet friends, drink the best wines, beers & cocktails & play ping pong. Take a look at our fabulous buffet menu to complete the perfect event. The Queen of Bradgate has perfected simple yet delicious dining, offering fantastic gourmet pub food at excellent value for money. Choose from a number of large plates such as the mouthwatering 10OZ ribeye steak with baked portabello mushrooms, hand cut chips, salad and blushed tomatoes or indulge in Queen of Bradgate's famous shin of beef chilli which is served with rice, nachos, guacamole and sour cream. For something a little lighter, choose one of the many sandwiches and wraps on offer, such as the award winning fish finger sandwiches, which is available with their own tartare sauce and smashed peas. A truly beautiful and unique pub, Queen of Bradgate, Leicester has only recently opened but it’s already a firm favourite in the local area. Serving excellent food in a quirky, pretty restaurant, it is something not to miss. All children's main meals include a free drink & a scoop of ice cream for dessert. Served with assorted cracker selection, caramelised red onion chutney, celery sticks and baby pickles. 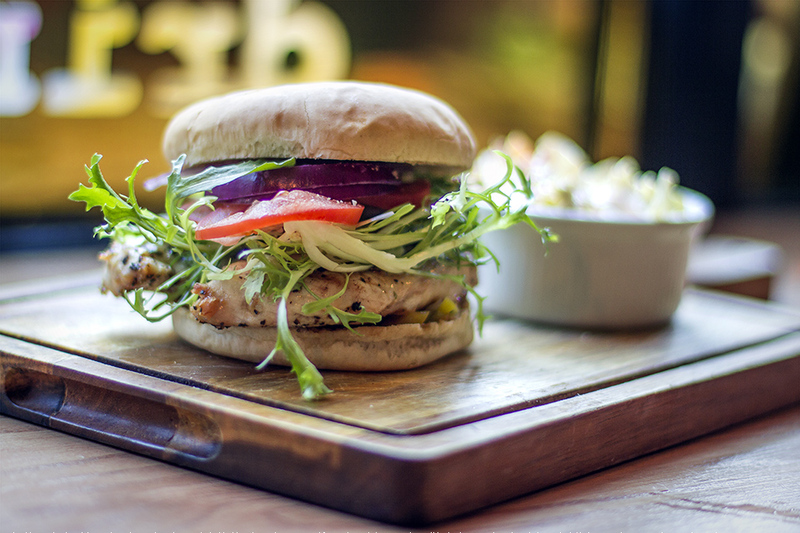 From 12pm-5pm, Monday to Friday, get the sandwich of the day served with fries and any draught or soft drink for only £6.95. 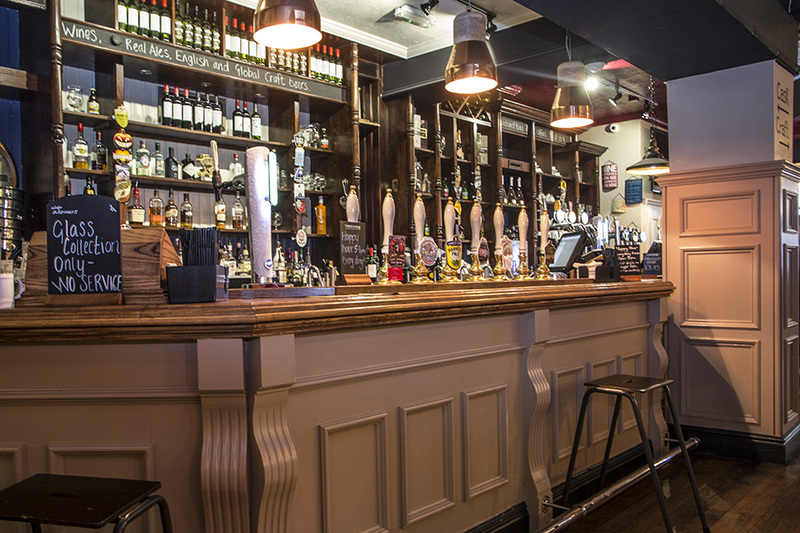 Grab your friends and family and head to Queen of Bradgate for their Happy Hour from 5pm till 8pm! 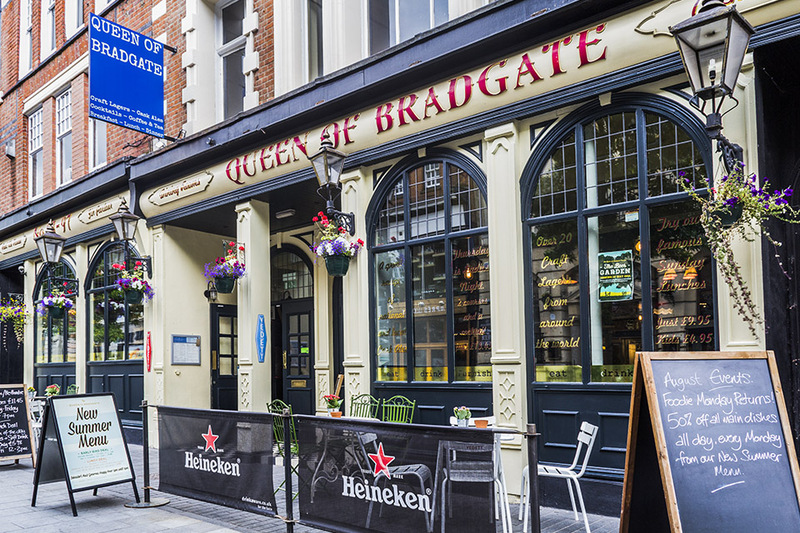 Get 50% off all full priced main dishes every Monday only at Queen of Bradgate! This offer is not valid on Bank Holidays. ** Steak carries a £3 supplement on half price Mondays. Students get 50% off all full priced main dishes from the main menu Monday to Friday. For just £15.95 you can tuck into 2 courses or £19.95 for 3 courses every Sunday between 12pm - 6pm. £18.00 - 3 Course Party Menu!